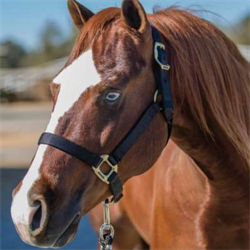 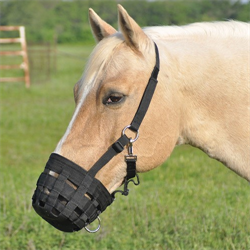 We stock web halter from Big D, Mustang and Weaver Leather. 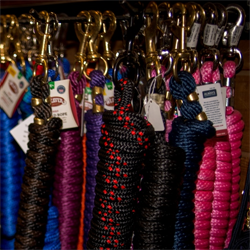 Lead lines come with all types of snaps, colours and patterns. 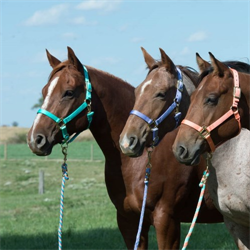 Leather halters from True North and Weaver Leather and rope halters from Professional Choice and Burwash.